EMI Music’s legendary Blue Note Records has today launched a great new app on Spotify creating space in the music streaming service to explore and discover music spanning the entire history of the label from 1939 to the present. 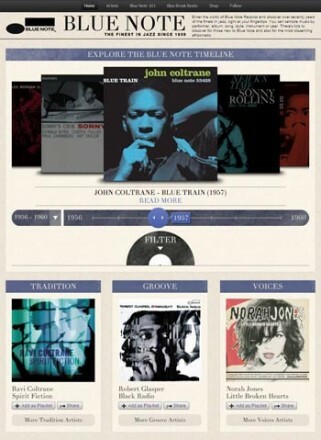 The app can be downloaded here:http://open.spotify.com/app/bluenote. The app allows listeners to discover classic recordings by performer, album, style, instrument or year provinding easy entry points into the music for jazz novices as well as the ability for jazz aficionados to dive deep into Blue Note’s unrivalled catalogue. More detail on the app here.